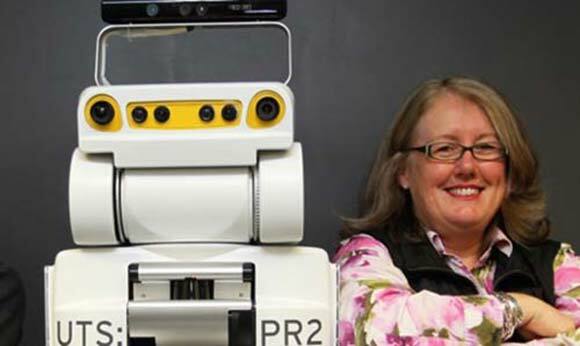 Distinguished Professor Mary-Anne Williams is Director of The Magic Lab in the Centre of Artificial Intelligence at UTS. She is currently working with the United Nations on Cybersecurity, Human Rights, Sustainable Development, and Peace & Security. Mary-Anne is a Fellow at the Australian Academy of Technological Sciences and Engineering (ATSE), the Australian Computer Society (ACS), and in the Centre for Legal Informatics (CodeX) at Stanford University. She is listed 16th on the prestigious 365 International Women in STEM in 2017. She is senior leader in the Australian and International research community and serves on ACM Eugene L. Lawler Award Committee for Humanitarian Contributions within Computer Science and Informatics. Mary-Anne works with the Stanford d.school and previously the UTS Hatchery developing entrepreneurship programs. She continues to work closely with student startup founders at UTS and CodeX. In 2017 she co-founded the AI Policy Hub with the Directors of CodeX Stanford University, and is co-authoring a major United Nations Report on the Impact of AI, due for release later this year.